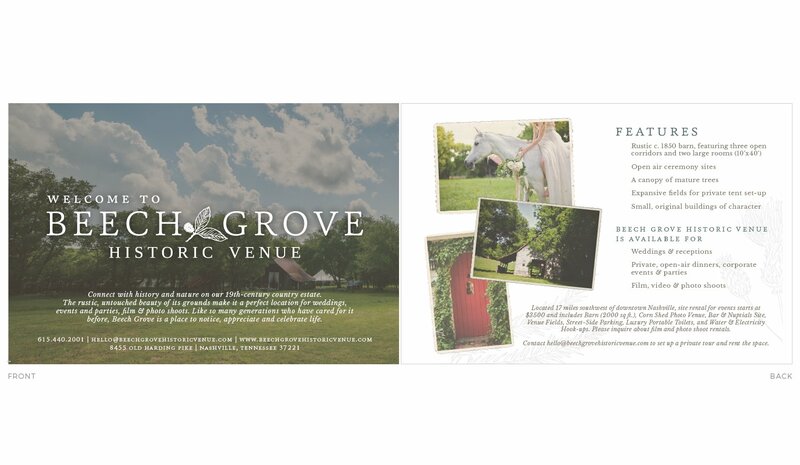 As a historic property, Beech Grove Historic Venue in Nashville, TN hired Krista Chapman and Path & Compass to brand their venue space and sharpen their marketing strategy so that the historic home and property could make money. Path & Compass handed the venue a complete brand and marketing strategy that would put them in a competitive position in the Nashville venue market. 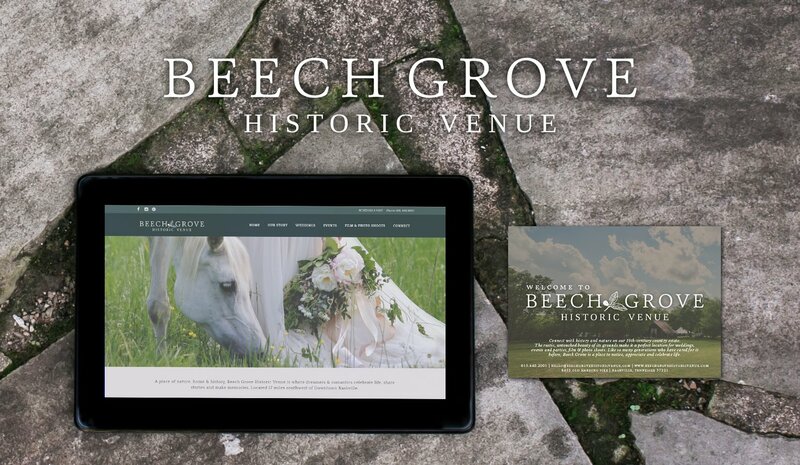 Beechgrove Historic Event Venue came to Path & Compass as a property owner with an idea. Shelly and her husband were looking to share their beautiful property with couples & families in need of a place to gather & celebrate. We created a brand & website to match this romanticized vision, giving their burgeoning company an online home. When you hire someone to create your website you count on them to ask you the right questions. It is a tedious task to create something enchanted as well as effective and functional. Krista’s questions, interviews and conversations prompted me to think through our message, our purpose and the ethos of the business we were trying to create. She thought through what a potential client would ultimately experience. She executed fluidity and continuity in our messaging and images, dictating the experience we wanted for an end user visiting our online presence. She was professional in every sense of the word by giving us an effective timeline and the end result was terrific. 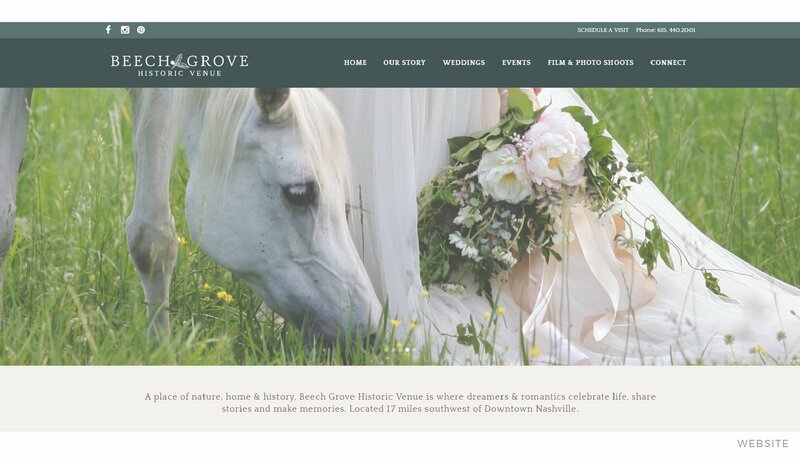 Her careful guidance and direction create an online living thing that represents Beech Grove in a lovely light.